I am Spanish, I studied my Bachelor in Physics in Seville and, later on, my Master and PhD in Valencia. I decided to become a scientist when I realised I could devote my time, professionally speaking, to satisfy my own curiosity at the same time I was helping others to get to know a bit better the world we live in. Therefore, being able to spend time doing something I love is one of the things I like about being a scientist. That, and the possibility (almost the obligation, I would say) it provides of traveling around the globe and meeting people from very different cultures. I think many problems in current societies could be solved if people were more keen on traveling. The main drawback (and currently a big one) is instability. It has become very difficult to find a stable position and the constant worry about the future pulls off part of the fun of being a scientist. During my PhD I have studied neutrino physics, both from the point of view of their flavour oscillations and their impact in several scenarios at early stages of the Universe. At the OKC I am mainly going to study what we can learn about dark matter from the recent data release of the Gaia mission, while keeping my contribution to the other projects as much as possible. Learning about the distribution of dark matter in the Milky Way and deepening the knowledge of neutrino properties from cosmology. Scientifically speaking, I am proud of my understanding of neutrino flavour oscillations and my coding skills, and I would like to become, at least, competent in dealing with Gaia data and interpreting it. On the other hand, on a purely personal basis, I am proud of my Spanish writing, something I love as much as doing science, and I would like to learn some Swedish during my stay in Stockholm. I am excited about the data that will come from future generations of neutrino experiments. In particular, and because they are closer in time, I am looking forward to knowing about the reach of the first years of data from KM3NeT and KATRIN. The first one because it will highly improve our understanding of neutrino oscillations, the origin and properties of high-energy neutrinos and our knowledge of the ordering of neutrino masses, which could be determined soon at enough confidence as to make a discovery in favourable scenarios. Regarding KATRIN, I am excited about hearing from this collaboration because it can confirm the bounds on neutrino masses coming from cosmology in an independent way, while contributing also to other studies such as the sterile neutrino that seems to be favoured by some oscillation anomalies. Considering a more distant future, the detection of relic neutrinos and hopefully of dark matter are important achievements waiting for us. What is the biggest obstacle that is slowing down your research field right now? Regarding neutrino physics I would say the lack of new data, something that will change in the future. I don’t really have a favourite food, but I find rewarding eating something I have cooked when it tastes good, especially when it is somewhat unconventional. I hope we know the nature of dark matter and we have detected relic neutrinos. And I also hope that we achieve a better understanding (ideally even a cure) of cancer and mental diseases. Although those are not main topics in physics, they get largely benefit from physics itself. 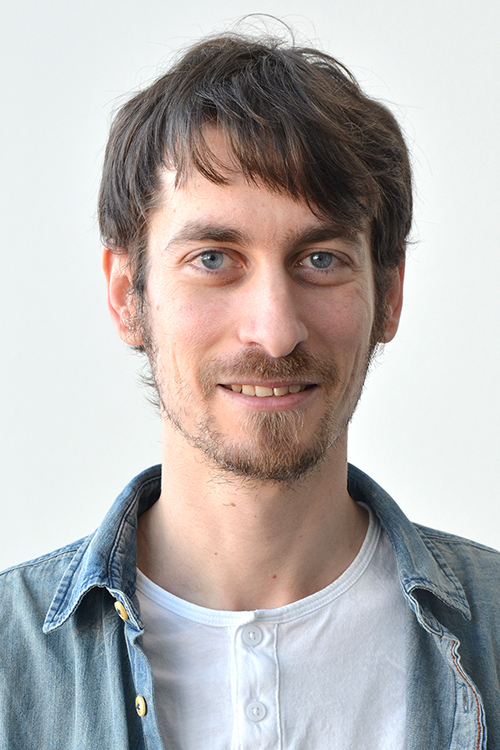 Pablo is a postdoc in the Stockholm University Physics Department who joined the OKC in the Fall of 2018.